The full course of the preparation of each series "Boralin" is four packs of 500 ml. Each bottle is accepted under the scheme with the enclosed measuring cup for 7 days. Made 10 days off and start the next, in the same scheme. So the four tested for two months. If necessary, the full course may be repeated no earlier than 1 month pause. 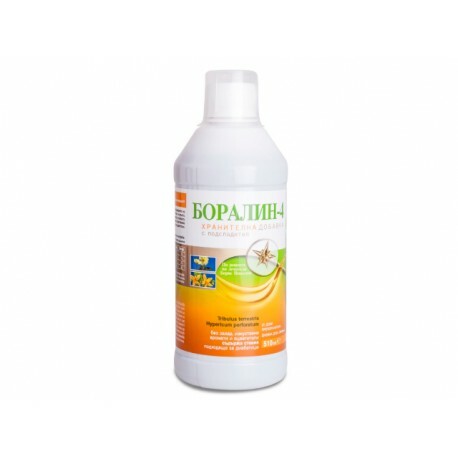 All preparations series "Boralin" tend to clear cholesterol deposits and normal levels of triglycerides in the blood. This is due to the FS that are pharmacologically the most important ingredient of the composition of Tribulus terrestris. The combination with other herbs enhances their effect against a broad range of diseases. The reference number of "Boralin" recommended as accompanying symptoms. In the absence of such treatment is carried out with Boralin-4. According to Bulgarian healer Boris Nikolov, in most cases, the spikes are not bone and cholesterol formations. Boralin makes the process of their formation reversible. In the case of exostosis spine rate applies to Boralin-4. When lesions in joints of the extremities - Boralin-8. 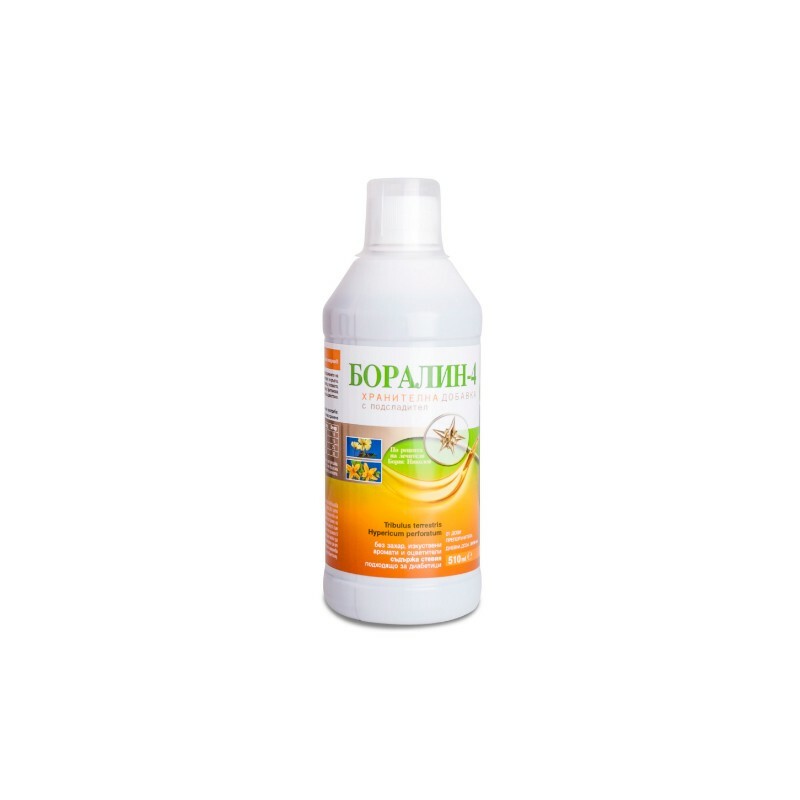 Properties Boralin-4 to remove the exostosis and restore blood flow, provide relief for most degenerative spinal diseases. In a herniated disc, for example, is gradually recovering cartilage, connective tissue plate, connecting vertebrae. Boralin-4 has potent anti-inflammatory and detoxifying effect, especially valuable in neuritis, polyneuritis, sciatica, plexitis, radiculitis and others. The combination Tribulus terrestris and Hypericum perforatum is particularly suitable for the consequences after a stroke and reduce the risk of subsequent. Due to the strong action of the preparation is not applicable in the acute period. The overall strength of blood flow in the body to normalize the functioning of the gastrointestinal tract, improves secretion, relieves inflammation. Patients reported relief from ulcers and colitis. It is 15 minutes before eating. According to Bulgarian folk healer Boris Nikolov, the most common reason for the formation of painful lumps in the breast are disorders in fat exchange. In such cases Boralin-4 applies in the week before the cycle. Boralin improves blood flow to the endocrine glands, leading to normalize the levels of hormones responsible for calcium absorption. Admission is combined with natural foods and supplements rich in calcium, vitamins D and C.
If the cause of infertility is hormonal, Boralin can help. Drink in the week before the cycle. When fertilization occurs, the intake of Boralin should be discontinued immediately. In men improve spermatogenesis and potency. The total stimulation of the blood circulation affect the length and quality of erections. Boralin-4 normalize the size of the prostate gland and symptoms of dysuria subside. If the problem is combined with a kidney disease use Boralin 8. The complete course is 4 packs of 500 ml. Each bottle is taken under a 7-day scheme, then rest for 10 days. After the break begins to take the next bottle, according to the same scheme. Four packs are accepted for 2 months. If necessary, the full rate can be repeated no earlier than 1 month pause.